Photo by Jean Potter • A male wild turkey struts his stuff while fanning his impressive tail feathers. I’ve seen a few small flocks of wild turkeys this fall, although larger flocks have been elusive so far. As the fields and woods grow more stark as the cold season advances, I am confident I will start seeing more turkeys. I am even thinking of spending part of my upcoming Thanksgiving holiday looking for some of these very American birds. First, who doesn’t like to root for a contender? Many people have heard accounts of how the wild turkey was a candidate for America’s national bird. It’s a well-known example of historic trivia that the wild turkey had its supporters among the nation’s founding fathers, but was it ever seriously considered for the elevated status as America’s official bird? The answer’s not cut and dry. Ben Franklin wasn’t enthusiastic about the bald eagle as the national bird, but perhaps it’s best we don’t eat our national bird every Thanksgiving. Benjamin Franklin, Thomas Jefferson and John Adams formed a committee assigned the task of designing an official seal for the new United States of America. As is often the case with government committees, the job of designing the seal took longer than expected. After three different committees came up with different designs, Pennsylvania lawyer named Thomas Barton eventually came up with one featuring a white eagle. Secretary of Congress Charles Thomson recommended replacing that eagle design with one depicting the native bald eagle. Eventually, the bald eagle received designation as the nation’s official bird. Perhaps Franklin suffered some buyer’s remorse. “I wish the bald eagle had not been chosen as the representative of our country,” he wrote in his letter. “The turkey is a much more respectable bird.” He also noted that the turkey is a true and original American native. Of course, the bald eagle is also a bird unique to North America. So while there’s no direct evidence that Franklin did anything to actively promote the turkey as the nation’s official bird, he didn’t exactly provide a ringing endorsement of the bald eagle. Early naturalist and painter John James Audubon must have been very familiar with turkeys to have painted this lively scene of a hen and chicks. Second, the wild turkey has a wide range of experience, both foreign and domestic, as a representative of the United States. While wild turkeys still roam through North America, to the tune of seven million individuals, their domesticated kin are farmed in huge numbers. Native tribes in the Americas began domesticating the wild turkey centuries ago. When early Spanish explorers conquered the Aztec empire in Mexico they found that turkeys were among the domesticated animals kept by the Aztecs. The Spaniards returned to Europe with domesticated turkeys around 1520. In the next few decades, domesticated turkeys spread into other European countries, arriving in England between 1525 and 1540. The first European colonists brought turkeys to the New World with them only to discover the ancestors of their domesticated fowl already existed in America. In a strange twist of fate, colonists in New England and Virginia brought domestic turkeys with them to the New World in the early decades of the 1600s only to be surprised to find the native forests already populated by wild turkeys, which were the ancestors of their domesticated fowls. Today, that back-and-forth saga regarding the turkey continues. One of the most important customers for U.S turkey farmers is the nation of Mexico. Almost 70 percent of U.S. turkey exports go to Mexico. Finally, the wild turkey has that “in-your-face” attitude that is so American and helps turkeys thrive no matter where they live. In recent decades, some turkeys have taken to suburban living. An article by Brian Handwerk on the National Geographic website puts the spotlight on these turkeys that have taken so readily to living in the ‘burbs. Massachusetts and Connecticut, former strongholds of the first settlements by Europeans in the New World, are home to densely populated cities like Boston and Hartford. These days, however, turkeys demand their share of the pie, figuratively speaking, when it comes to prime real estate. All a turkey really needs is some cover, which is adequately provided by landscaped lawns in the suburbs, and a few trees that provide nightly roosts. As social birds, they roam in flocks that don’t particularly pay attention to property lines. Photo by Bryan Stevens • A wild turkey forages for food. In addition, a wild turkey’s a fairly big bird. 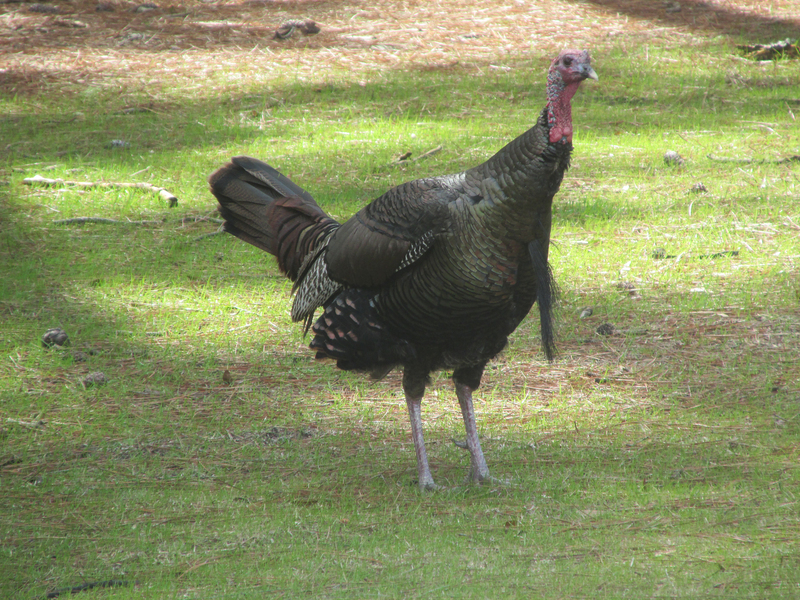 A male turkey, or tom, can weigh between 16 and 24 pounds. The females, or hens, are usually about half that size. Human-turkey conflicts occur most often in the spring when the boisterous toms are focused intently on besting rivals and impressing potential mates. Unfortunately, these hormone-addled tom turkeys sometimes mistake humans going about their daily lives as rivals. In addition, many human residents of the suburbs have a tendency to offer food to wildlife ranging from squirrels and deer to perhaps a flock of resident turkeys. Providing food can make turkeys expectant and demanding. To put it mildly, a turkey can be a little intimidating. They’re not likely to harm a human being, but occasionally turkeys will also stand their ground, refuse to back down and even give chase to any human who crosses them. Sounds like a proud American, right? Now, one last thing for which Americans can be thankful. We don’t chow down on bald eagles every Thanksgiving. It would be awful, wouldn’t it, to eat our national bird? Bryan Stevens lives in Roan Mountain, Tennessee. If you have a question, wish to make a comment or share a sighting, email ahoodedwarbler@aol.com. He also welcomes friend requests on Facebook at https://www.facebook.com/ahoodedwarbler. This entry was posted in Bristol Herald Courier, Bryan Stevens, Bryan Stevens Feathered Friends, Elizabethton Star, Erwin Record, Johnson City Press, Jonesborough Herald and Tribube, Kingsport Times, McDowell News, nature, Thanksgiving, Thanksgiving traditions, Turkeys, Uncategorized, WKRP on November 23, 2017 by Bryan Stevens. 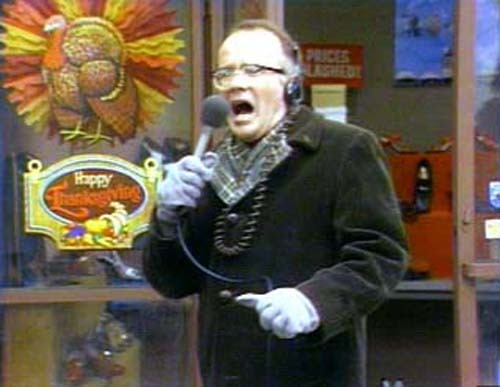 Newsman Les Nessman (Richard Sanders) of the fictional radio station, WKRP, broadcasts from the Pinedale Shopping Mall during the infamous “Turkey Drop” promotion. As Americans, we all have our holiday traditions. Many of us will come together this week to celebrate Thanksgiving with lavish meals shared with family and friends. I will carve out a half-hour niche to watch one of my favorite holiday sitcom episodes. Photo by Bryan Stevens Wild turkeys are slender, swift and fully capable of flight. Not surprisingly, there’s an element linked to birds in the episode, which is often cited as one of the most ingenious sitcom episodes in the history of television. 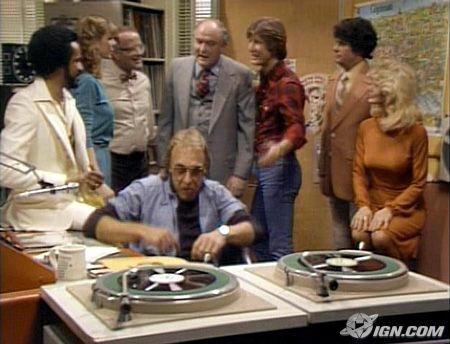 The episode is “Turkeys Away” from the first season of WKRP in Cincinnati, a sitcom that aired from 1978 to 1982 and revolved around the antics of the staff of a down-and-out radio station. The “Turkeys Away” episode originally aired Oct. 30, 1978, early in the first season of the series. I especially like that every member of the ensemble cast was woven into the storyline for this classic Thanksgiving episode. Photo by Bryan Stevens Wild turkeys are well equipped to survive in the wild, unlike their domesticated kin. 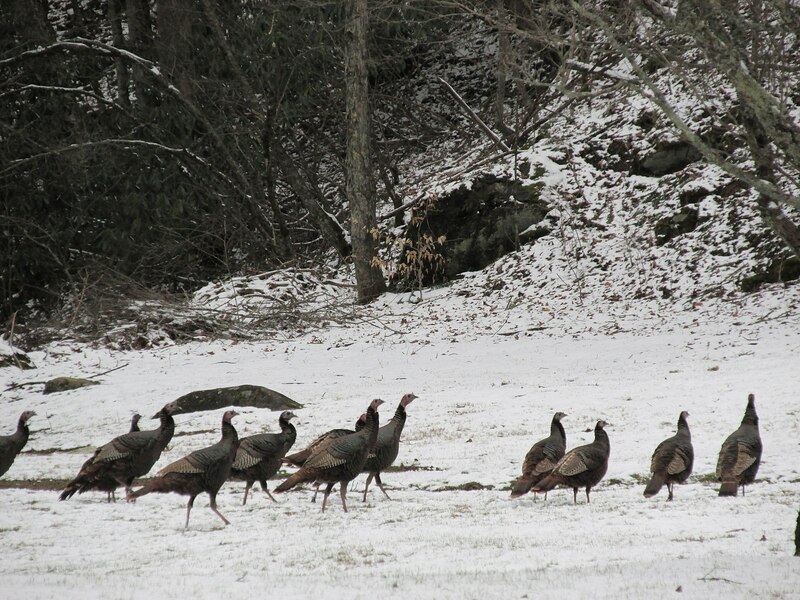 Photo by Bryan Stevens A flock of Wild turkeys forage for food hidden beneath a light snow cover. It’s that classic line that provides my segue into the subject of this week’s column, which is America’s wild turkey. I sometimes wonder if my favorite episode of WKRP, which aired nearly 40 years ago, has had some influence in persuading many people that turkeys cannot fly. It’s a widely held misconception that the wild turkey cannot fly. The turkey is perfectly capable of flying at speeds up to 55 miles per hour, but they often prefer to walk and run over the ground. They’re good sprinters, in fact, and can reach a running speed of 25 miles per hour. A wild turkey hen accompanies her poults to forage for food. On the other hand, the domesticated barnyard turkey is a fowl of a completely different kind than its wild cousin. 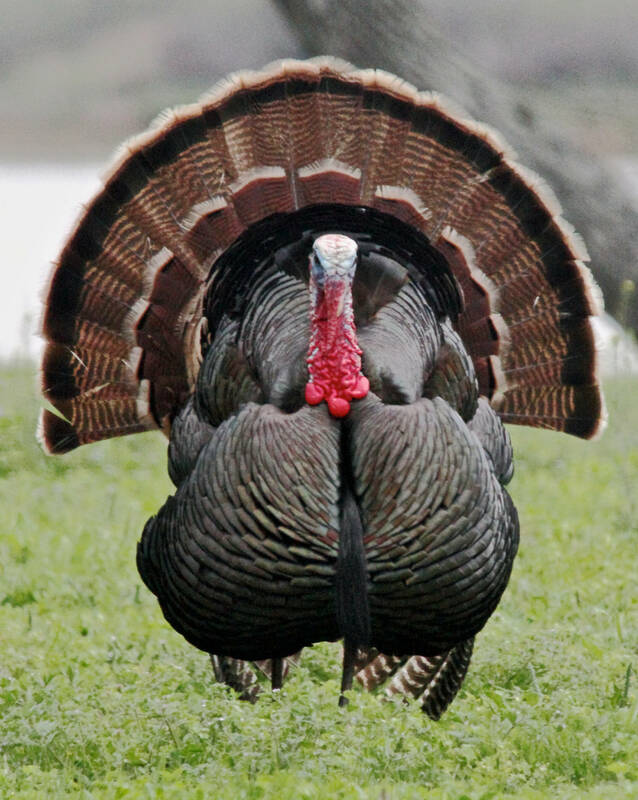 Although the wild turkey — the largest of North America’s game birds — can weigh as much as 37 pounds, it’s the domestic turkey that holds the record as a heavyweight. The largest domestic turkey on record tipped the scales at 86 pounds. That bird certainly could have provided an ample banquet for your Thanksgiving meal. Domestic turkeys are bred to be big, which as a result means they are incapable of flight and are also poor runners. 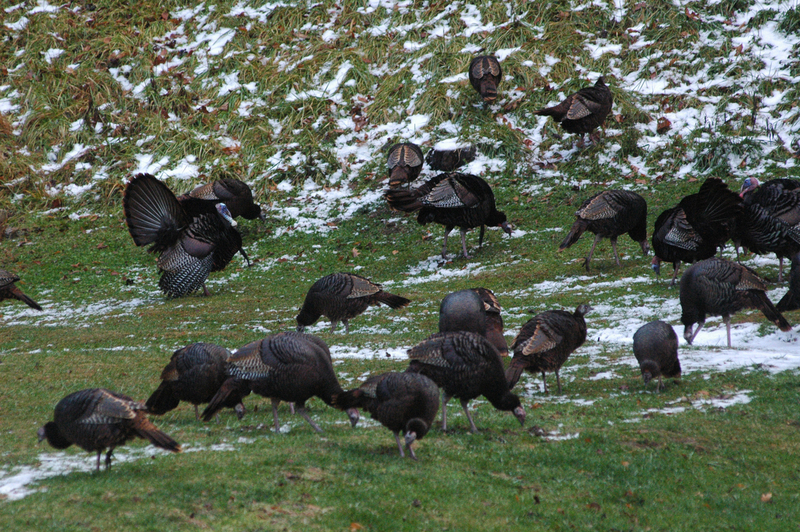 Of course, these domestic kin of the wild turkeys don’t face a gauntlet of predators. Wild turkeys face various perils at all points in their life cycles, from eggs to newly-hatched young to adult birds. Turkey eggs are a favorite food of such wild animals as raccoons, skunks, opossums and some snakes. Young turkeys, known as poults, are often the prey of domestic dogs and cats, as well as a range of raptors, as well as birds such as crows and ravens. Larger predators — bobcats, cougars, coyotes, foxes and eagles — prey on adult turkeys. I remember the first time that I observed wild turkeys in flight. I was driving near Persimmon Ridge Park in Jonesborough, Tennessee, when about a dozen large, dark birds flew across the road just above the roof of my vehicle. I was definitely perplexed as my mind worked to figure out the identity of these birds. I had almost settled on vultures, although the flight pattern had been all wrong, when I saw that some of these flyers had landed in a field adjacent to the road. 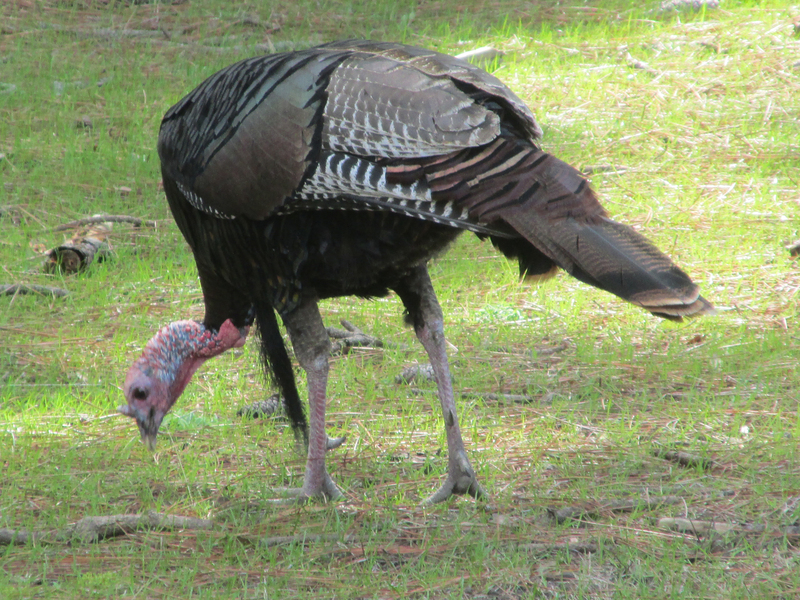 On the ground, they were easily recognized as wild turkeys. Photo by Robert Burton/U.S. Fish & Wildlife Service The wild turkey gobbler puts on an elaborate display to impress hens. I was prepared when I encountered another flock at Boone Lake in Sullivan County, Tennessee. I surprised the flock, which was trapped between me and the lake. After a moment of hesitancy, the members of the flock flew across the cove. Landing on the other side, they apparently felt secure to have a gulf of water between them and me. I was impressed by the fact that such large birds can look powerful and even somewhat graceful during a short burst of flight. The wild turkey’s scientific name is Meleagris gallopavo. The wild bird is exclusively resident in North America, but domesticated turkeys are now raised around the globe. The wild turkey has only one close relative, the ocellated turkey, or Meleagris ocellata, which ranges throughout the Yucatán Peninsula in Mexico as well as the northern parts of Belize and Guatemala. The extent of this fowl’s range is only about 50,000 square miles while the wild turkey ranges throughout the United States, as well as Canada and Mexico. Photo by U.S. 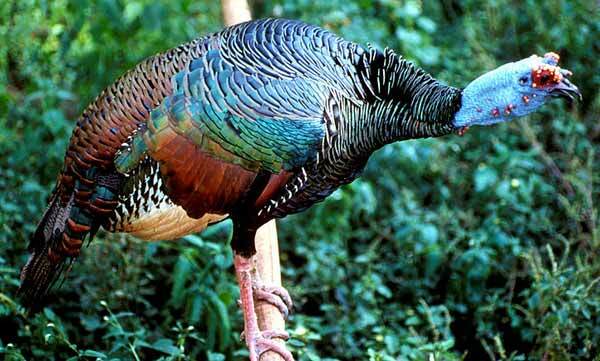 Fish & Wildlife Service The Ocellated Turkey ranges throughout Mexico and Central America. 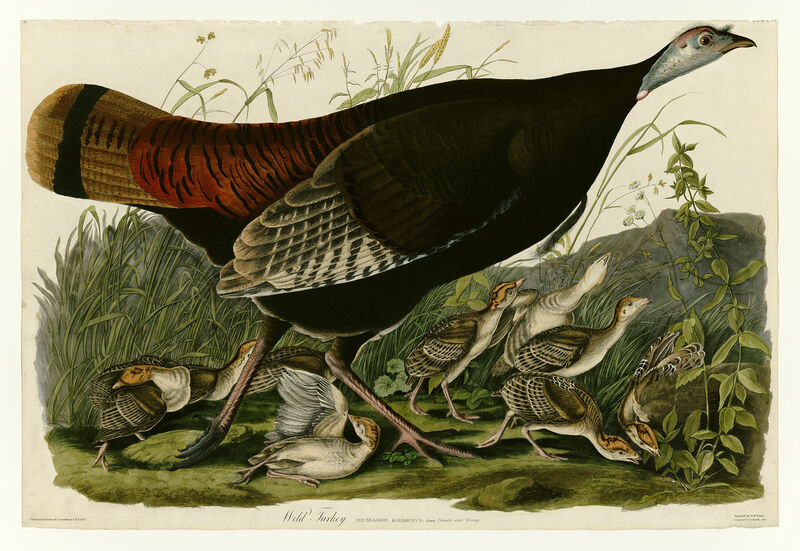 Few birds have featured so prominently in the history of the United States as the wild turkey. In fact, the turkey came close to being named the official bird of the United States. Benjamin Franklin, who proposed the turkey as the official United States bird, was distraught when the bald eagle was chosen over the turkey. Franklin wrote to his daughter, referring to the eagle’s “bad moral character,” saying, “I wish the bald eagle had not been chosen as the Representative of our country! The turkey is a much more respectable bird, and withal a true original native of America.” George Washington, the nation’s first president, also shared Franklin’s opinion, and pointed out the bald eagle’s lifestyle as a carrion eater. Even if not as our national symbol, the wild turkey is still deserving of respect. This bird, found only in North America, is a survivor of first-rate caliber. Benjamin Franklin supported the Wild Turkey as the nation’s official bird. It’s simply too bad that Jump’s character in WKRP, bumbling but amiable station manager Arthur Carlson, lacked some crucial knowledge about the differences between wild turkeys and their domestic relatives. If he had gathered a flock of wild turkeys instead of directing his sales manager to acquire domestic fowl, his radio promotion might not have been such a stupendous flop. Of course, we would then have never had this classic episode of comedic television, and I wouldn’t have my familiar Thanksgiving ritual to enjoy annually. The talented cast of the vintage television sitcom, WKRP in Cincinnati. Photo by Bryan Stevens The wild turkey is a tough, wary and hardy fowl. This entry was posted in Birding, Birds, Bryan Stevens Feathered Friends, Thanksgiving, Turkeys, Wild Turkey, WKRP and tagged Birding, Bristol Herald Courier, Bryan Stevens, Carter County Compass, Elizabethton Star, Erwin Record, Feathered Friends, McDowell News, Our Fine Feathered Friends, Thanksgiving, Thanksgiving traditions, The Erwin Record, Wild Turkey, Winter birds, WKRP in Cincinnati on November 22, 2015 by Bryan Stevens.